This is a Hyundai OEM kit designed specifically for the Veloster1. This kit will fit all 2019 Hyundai Velosters. 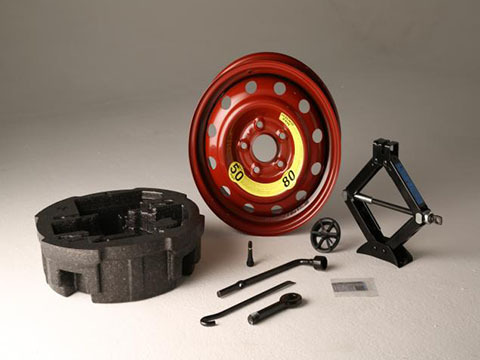 This kit will lay flat in the spare tire well of the vehicle. 2. Tire may not come pre-inflated. Set pressure before installing. It is recommended to check pressure at every tire rotation.